SMFA has been educating artists since its founding in 1876. The School was conceived at the same time as the Museum itself, as the crucial second part of a mission to educate through the arts. 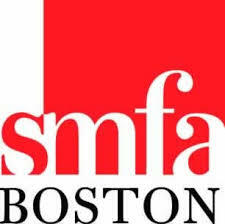 SMFA was intended to be a school of art; not simply a technical institute, but a school of the most rigorous ideas and concepts. Since its founding, the School's faculty, administration and curriculum have been dynamically engaged in questions of education in general, and art education in particular.There are other art schools, but they are not like us.The SMFA program was designed by artists, for artists. It puts you, the artist, at the center. You will be encouraged here. You will be pushed. To take risks. To work in a medium you've never tried before. But you won't be told what to do. You will work with the faculty to develop your own voice, your own point of view; which is why our students, our graduates, go on to define new directions in the arts. Many are pioneers in their field. Others create entirely new fields. The education you receive here will prepare you for a world that is constantly changing and constantly placing very high demands on its participants. The Museum School is a challenging place; it is designed to be that way. But in the end, it is an experience that will be profoundly rewarding. And that is what a really good education is all about.